Hum World TV Live is one of the Pakistan’s leading entertainment channel and now YuppTV has expanded its outreach to provide their services throughout the world. Consumers across different nationalities can obtain the entertainment they need from the comfort of their home because of expanding its horizons. 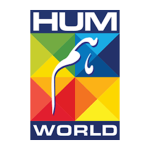 Hum World TV already has a presence in Pakistan where it has received plenty of attention from viewers. With a good audience all over the globe and the telecasting programs provide high-quality entertainment with a homely touch.